Palau. 10 Dollars. 2019. Silver .999. 2 oz. Tiffany glass inlay. 50 mm. Antique Finish. Mintage: 999 pcs. B. H. Mayer’s Kunstprägeanstalt, Munich. Palau. 50 Dollars. 2019. Silver .999. 1 kg. Tiffany glass inlay. 100 mm. Antique Finish. Mintage: 99 pcs. B. H. Mayer’s Kunstprägeanstalt, Munich. The coin’s obverse presents Khmer architecture: in the foreground, temple entrances guarded by two stone lions. A green Tiffany glass has been placed in one of the gateways, which is divided into three parts by a straggling Banyan fig tree; in the bottom third, a small coat of arms of the Republic of PALAU, below 10 dollars. The reverse features a detailed view of the temple architecture of the Khmer: in front of a gateway, which has been filled with green Tiffany glass, various stone temple guards have been placed. Everything is positioned on an elevated podium with a set of stairs leading up to it, which reads Khmer / Tiffany Art / 2019. 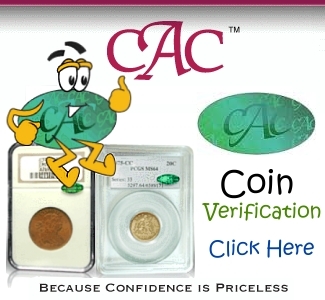 CIT Coin Invest AG’s arguably most famous series needs no further introduction: 15 coins have been issued in the “Tiffany Art” series since 2004. The first issue already won the COTY for its “Best Innovative Coin Concept”, as did four other issues in this incredible series, which allows experts to trace the exact development of minting technology over the past 15 years. In 2004, the colored Tiffany glass adorned a simply and elegantly designed neogothic architecture. If you compare that simple design with the pieces issued just 10 years later, you realize what opportunities in die creation developed out of the combination of advanced computer graphics and state-of-the-art laser technology. The introduction of smartminting technology allowed for additional design highlights. 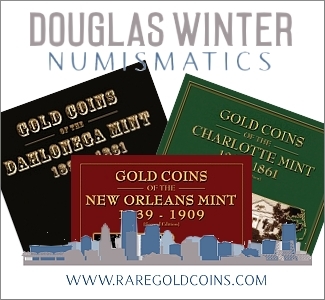 The two-dimensional coin image with a low relief turned into a three-dimensional piece of art within just a few years. Since 2014, CIT Coin Invest AG has also added a mega coin weighing one kilo alongside the 2 ounce piece. The “Khmer” issue in the “Tiffany Art” series released in 2019 is yet another highlight. It is dedicated to the architecture of the mysterious Khmer people who created the Angkor empire between the ninth and the 15th centuries. Nowadays, its capital is considered a UNESCO World Heritage Site and Angkor Wat is the largest temple complex in the world. The fact that nature is slowly reclaiming the ruins creates its particular charm. The “Khmer” coin makes reference to this fact with the depiction of a Banyan fig tree which, for the first time in this series, seemingly breaks the Tiffany glass inlay into several pieces. 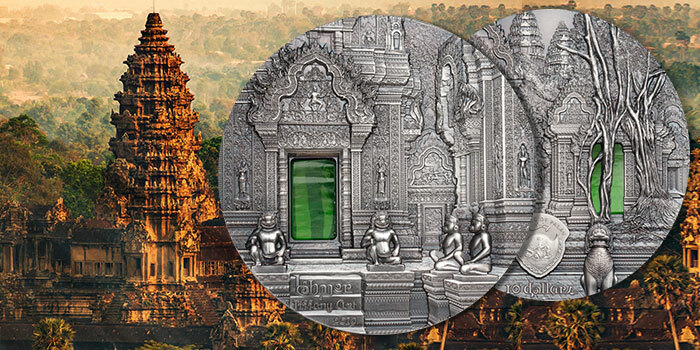 The temple and its surrounding flora inspired the CIT Coin Invest AG artists in the creation of this latest issue “Khmer”. This will be the second-to-last issue. The last coin is scheduled to be issued in 2020.